Do you remember this little thing? I found it at an op shop crying out for some TLC. 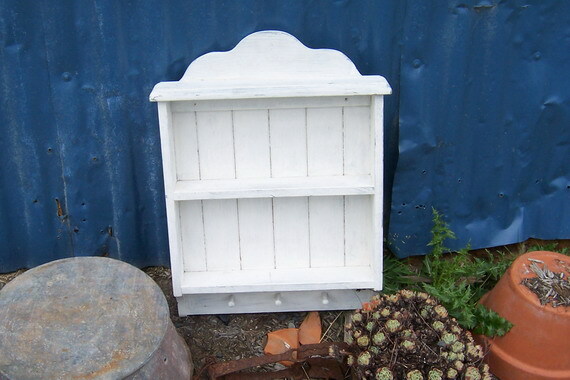 It was painted white (badly) over a blue wash. 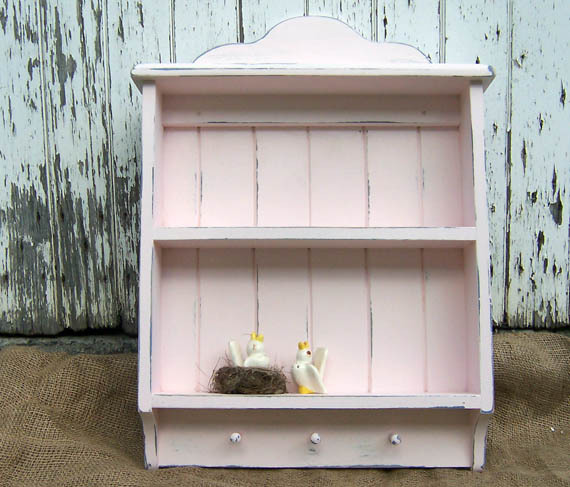 I liked the idea of white, and I loved the blue (pity they painted over it), but I decided to do something different and painted it pink! The pink is a colour I mixed up myself using paints I had on hand. It turned out to be the softest, sweetest pale pink. When I distressed it I varied the depth so that you could see both the original wood and the previous paint layers. I just wish I had space in my kitchen for it! If it doesn’t sell at the market I’ll find a spot for it! 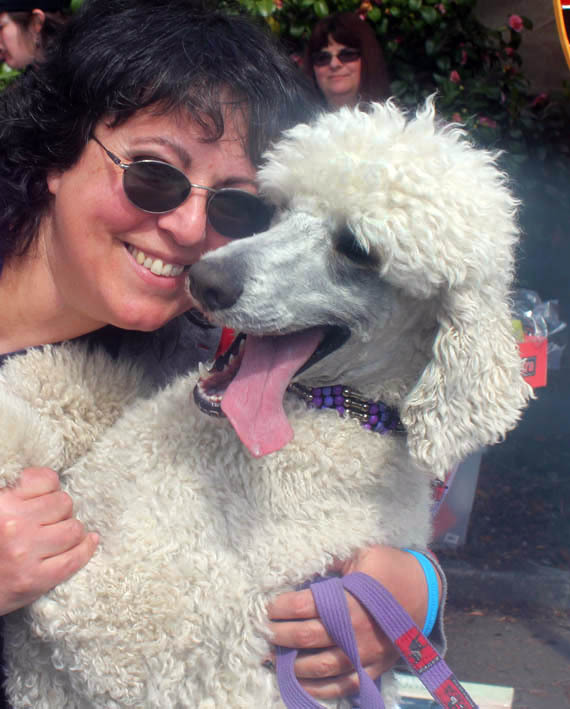 I leave you with this photo of me and my beautiful Romeo, taken at the work garage sale about a month ago. Isn’t he beautiful? Our clients loved him, as did just about everyone who met him. Better go. Things to do, dogs to groom. This entry was posted in DIY, Dogs, family, thrifting by zefiart. Bookmark the permalink. Hi Zefi! Thanks for stopping by to see my old door display. Your shelf here looks great. Pink looks so cute distressed. 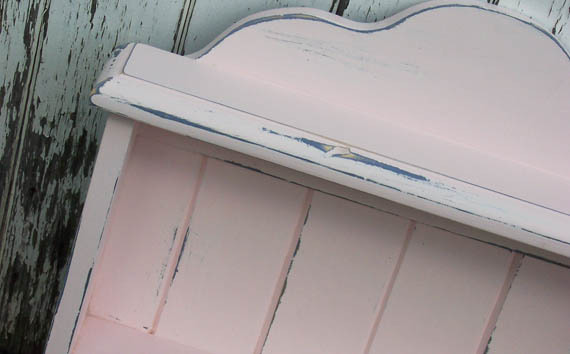 Reminds me of my pink furniture as a little girl. Have a fun week.